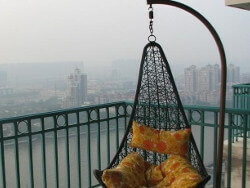 In this article you’ll find a review of the best hotels in Guangzhou, the capital of Guangdong Province. All the hotels are located close to the city center or near the airport. Also, we ordered them by price, covering a wide range of budgets. If you are going to Guangzhou for the Canton Fair, you may want to click here to read the review of best hotels located near the Canton Fair Complex. 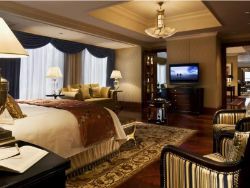 TheThe Ritz-Carlton, Guangzhou is located in the Tianhe District, featuring 351 guestrooms starting from the hotel’s 20th floor. The hotel is luxurious when it comes to facilities, living to its brand name. 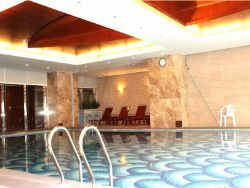 It features an indoor pool, fully serviced spa, five restaurants, business center, salon, and ATM machine. All the rooms are spacious, smoke-free and have free Wi-Fi to keep you at ease. The hotel’s staff speaks English to communicate well with guests from different countries. The hotel offers convenient access to popular attractions like Guangdong Museum, Flower City Square, Guangzhou Library, Guangzhou Opera House and Whampoa Military Academy, situated within a distance of 1.5 km only. The hotel is a 40 minute drive from the Baiyun International Airport and only 10 minute drive from the Guangzhou East Train Station. The Sheraton Guangzhou Hotel is another luxury hotel in the Tianhe district, making it easily accessible from the Guangzhou East Train Station, a five minute drive only. 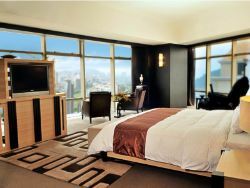 The hotel features 445 well-equipped comfy rooms offering panoramic views of the city’s skyline. The four on-site restaurants offer Chinese, Asian, and Italian cuisine to cater to taste buds of all kinds of travelers. In addition to this, the hotel provides you with an executive floor, children’s playground, fitness center, adult and kid’s pool, spa, tennis court, shuttle service, currency exchange, and a designated smoking area. The staff speaks fluent English and is responsive to your needs and inquiries, making your stay as hassle-free as possible. The only low of this hotel is that it does not offer free Wi-Fi in the rooms; however, you get free Wi-Fi in the public areas like lobby and outdoors. Some of the close-by attractions include Teem Tower, which is a short 2 minute walk away from the hotel, Guangzhou Opera House, a 23 minute walk, and Guangzhou Zoo will take about 27 minutes on foot. The Shangri-La Hotel is a grand hotel with 704 rooms and suites, located in Haizhu offering impeccable services and facilities to guests. The hotel’s rooms offer lovely views of the Pearl River with facilities like free Wi-Fi, flat screen TV, and en-suite well-equipped bathroom. The restaurant, Nadaman is well-known for its Japanese delicacies while the other restaurant, S.East Asia Kitchen & Bar serves authentic south east Asian delights. If you prefer western food, the hotel covers you by serving Italian dishes too at one of its restaurants. The hotel’s staff is helpful, speaks English and is always ready to make your stay a memorable experience. Additionally, the hotel offers services like spa, car park and valet parking, Wi-Fi in public areas, area shuttle, indoor and outdoor pool, in-room childcare services, ATM machine, currency exchange, and golf course to name a few. The hotel’s location makes it easier to get to Zhujiang Park, a 20 minute drive from the hotel. Pazhou Complex and Redtory Art and Design are in the close vicinity of the hotel. 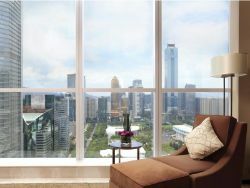 The Langham Place Guangzhou is a riverfront hotel providing you with city views from the room’s windows. The hotel features 500 large and airy guestrooms in lighter tones with amenities including a minibar, ironing facilities, a sitting area with well-equipped bathroom. The hotel provides its guests with free Wi-Fi in all the rooms along with Wi-Fi in the public areas. The services include currency exchange, facilities for disabled, shuttle service, car hire, golf course, spa, indoor pool, and fitness center. The staff speaks fluent English and is attentive to your needs and enquiries. The hotel is just a 3 minute walk to the Canton Fair (Pazhou Complex) while the Pazhou Metro Station is about 9 minute walk from the hotel. The Guangzhou Baiyun International Airport is 32.8 km from the hotel. The hotel is a bit higher on price when compared to other Reviews of Luxury Hotels (5 Star) in the similar area, however, it is still a good option if you want to get to the hotel in a lesser time from the airport and want great facilities and services like golf course and so on. 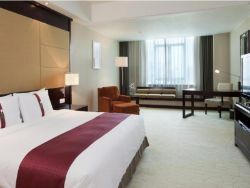 The Pullman Guangzhou Baiyun Airport Hotel is a hotel at a stone throw from the Baiyon International airport. 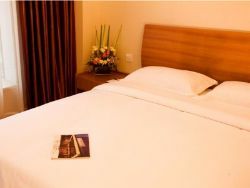 The hotel has 460 spacious guestrooms with large beds and graceful interiors. The 3 restaurants serve Asian, Western, and Cantonese delicacies. The hotel staff is friendly and will converse in English, French, German, and Russian. It also arranges city tours to provide you with maximum convenience. It takes about 30 minutes via car to get to the city center and the closest attraction is Ma An Shan Park, located 15 km from the hotel. Some of the recreational facilities include sauna, outdoor pool, spa, massage, and tennis courts. 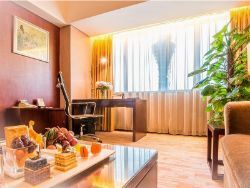 The Jianguo Hotel Guangzhou is situated in the Central Business District of Tianhe, with amenities like strong Wi-Fi in all the rooms and public areas, free parking, and meeting and banquet facilities. While it offers every essential amenity for business purposes, it also takes care of families with recreational services like karaoke, massage, spa, outdoor pool and provides free stay for children less than 12 years. Some of the other services include facilities for disabled, ticket service, arrangement of city tours along with on-site ATM, salon, and gift shop. The Guangzhou Baiyun International airport is at a distance of 27 km while the Guangzhou East Railway station is just a few steps away. The nearby attractions like the Teem Tower and Guangzhou Zoo are within 1.7 km and can be accessed on foot, if you like walking. The Holiday Inn Shifu Guangzhou Hotel is a mid budget hotel in the Liwan District of Guangzhou, offering 277 clean and comfortable guestrooms. 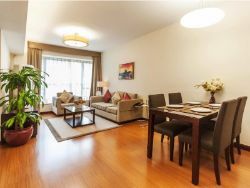 It’s smart location offers easy access to Changs Shou Lu Metro Station and attractions such as Shangxia Jiu Liu Pedestrian, 4 minute walk and Shang Xia Jiu Street and Qing Ping Market, only 5 minute walk from the hotel. The Guangzhou Baiyun International airport is about 31 km from the hotel. While the hotel provides you with convenient access to must-see sites, it also offers services like babysitting, facilities for disabled, restaurants, meeting facilities, car park, airport transfer, outdoor pool, and fitness center for a comfortable and relaxing stay. Free Wi-Fi is available in all the rooms and public areas for you to stay in touch with the world from the comfort of your room. The staff speaks English to understand you better and provide you with impeccable service. The Leeden Hotel is located conveniently, close to the Zhujiang New Town Subway Station in the Tianhe District of Guangzhou. The must-see attractions like Guangzhou Opera House, Flower City Square, Canton Tower, and Guangzhou Museum are in within 2.5 km from the hotel. The hotel features 252 smoke free rooms, fitness center, indoor pool, business center, area shuttle, lobby fireplace, and car rentals. Staying at this hotel will let you have free Wi-Fi access in room and public areas. You can easily communicate with the staff as they are well versed with English language. It is a good mid-budget hotel offering easy way in to close by attractions, subway station, and pleasant services. The Springdale Service Residence Guangzhou is strategically located in the heart of Guangzhou amid many restaurants, shopping malls, and entertainment options. This accommodation features 175 spacious apartments to make you feel at home. Each apartment is equipped with fully furnished living area, dining area, kitchen, and bathroom. It also features a restaurant, fitness center, business center along with laundry service, childcare service, and airport shuttle. The staff is helpful, polite, can understand and speak English to communicate effectively. Because of its location, the Teem Tower is only a 4 minute walk from the hotel and the Guangzhou Opera House and Guangzhou Zoo are within 2.1 km from the hotel. If you are with kids, the hotel provides kids club to keep them entertained throughout their stay. The hotel also provides free Wi-Fi in public areas and all the apartments. The Yuwa Hotel is an 81 room property in the Tianhe District of Guangzhou featuring free Wi-Fi in all the rooms and public areas along with many other facilities to make your stay comfortable. The hotel features a restaurants serving Japanese, Chinese, and western delights, a smoking area, executive floor, fitness center, garden, kids club, and car park. It is an 11 minute walk away from the Square of East Railway Station and the Guangzhou Baiyun International Airport is 26.5 km from the hotel. This small property is within budget offering spacious rooms with minimal interiors, kind staff that speaks Japanese and English, and plenty other facilities for a comfortable stay. 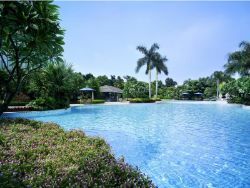 The Holiday Villa Hotel & Residence Baiyun Guangzhou is a mid budget hotel, offering luxurious 689 guestrooms that include suites. The rooms have graceful décor and come equipped with tea/coffee making facilities, flat screen TV, sofa, and en suite bathroom. Because the hotel is located close to the Guangzhou Baiyun International Airport, it offers free airport transfers. The Rehne Metro Station is also a short walk away from the hotel. The on-site restaurant serves Chinese and Western cuisine to cater to the taste of everyone. Some of the other facilities are free Wi-Fi across the hotel, multilingual staff, car hire, car park, facilities for disabled, and express check-in/check-out. To keep you entertained, the hotel features a billiard room, fitness center, and garden. The The Bauhinia Hotel is situated in the Yuexiu District of Guangzhou, giving easy access to the Haizu Square Metro station, only 5 minute walk away from the hotel. 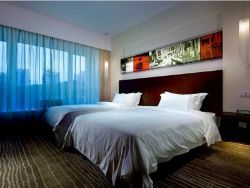 The hotel is only 9.7 km from the Guangzhou train station and Guangzhou Baiyun Airport. It features 166 guest rooms with free Wi-Fi along with modern facilities to take care of your needs. The hotel’s location makes it easier to get to attractions like Haizhu Wholesale Market, Sacred Heart Cathedral, and Beijing Road, all within 0.8 km only from the hotel. Additionally, it provides you with services like laundry, ticket booking, room service, and morning call service. The staff speaks English and is friendly to make you feel at home. The Pod Inn – Guangzhou Xihua Road is a cheap and clean hotel located in the Liwan District only 8 minutes walking form the Xichang Subway Station, allowing easy access to all must-see attractions of the city. The stuff can help you to arrange tours and transport, however the communication can be a problem if you don’t speak Chinese. The hotel offers free Wi-Fi in the public areas, 24 hours room service and open front desk. The hotel have plenty of decent restaurants around, so you can avoid eating in the hotel where the food isn’t that good. Overall, this hotel is an excellent option if you look for a decent hotel without spending a lot of money. The Sunshine Home is a budget hostel in the Li Wan area of Guangzhou, situated close to attractions like Yuexiu Park, Qingping Market, Sacred Heart Cathedral, and Haizhu Square. The Zhongshanba metro station (line 5) is a 6 minute walk away from the hotel making it easier to travel around via metro. The hostel features rooms and dormitories, an outdoor pool, garden, library, and restaurant. When it come to services, the hotel offers BBQ facilities, express check-in/check-out, luggage storage, 24 hour help desk, and Wi-Fi in public areas only. The hotel is well located and has plenty of things to do and see in the close vicinity. The English speaking staff, you will have convenience and ease when it comes to communicating to them. 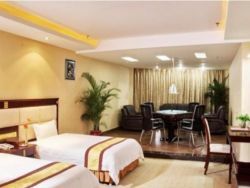 The Guangzhou Jin’an Youth Hostel is an economical stay option in the Pazhou Exhibition Center Area with 20 guestrooms. 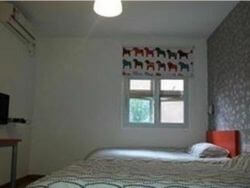 The rooms of the hostel are divided into two types, 6 and 8 bed female dormitory and 6 and 8 bed male dormitory. The hostel offers free Wi-Fi in all the rooms and public areas with other services like luggage storage, lockers, safety deposit boxes, 24 hour front desk, business center, and arrangement of tours to attractions. The staff speaks English. The Guangzhou Huaerda Hotel is only an 8 minute drive from the Guangzhou Baiyun International Airport and just a few steps away from Renhe Metro Station. 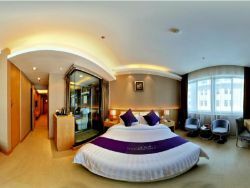 While the hotel is conveniently located in the Baiyun District, it also offers 100 guestrooms with free Wi-Fi. By staying at this budget hotel, you will get services like meeting facilities, airport transfer, and valet parking along with free Wi-Fi in public areas, laundry service, and currency exchange. Additionally, the hotel features a casino, nightclub, restaurant, business center, and ATM machine. At this hotel, you get what you pay for, therefore, if you are looking for better facilities, services, and a hotel closer to attractions; you may want to go for another one.